This crazy thought percolated in my head as I scratched and scratched my awful spider bites. Oh I know, don’t shout at me, I should not be doing that! But, but I made a mistake. Not earth shattering, nothing that I can’t stop (I hope). I have home remedies that work and when the next urge to scratch overwhelms, I’ll use one of them. But maybe better yet, I’ll do some preventive care. If you read my blog you’ll know that this is connected to teaching and learning. How often do our students say “I made a mistake?” How often do kids say “What if I make a mistake?” How those worries impact our students often depends on how we, their teachers, respond. In our hurray to get going, to start our “teaching” do we take time to set up an environment where “be brave” is as respected and encouraged as the “A” kids may seek. As I sub in various classrooms I see, what I’ll call ‘class rules/core values’ anchor charts that students developed with their teachers, to reflect what’s important in their learning space. Be kind, play safely, respect property, listen respectfully and others that set the classroom tone. Kids sign their chart and can refer to them when incidents occur. Kindness, building relationships, respecting differences are wonderful powerful talking points. And then the caveat, you don’t say it once and walk away. Kids (and many adults) don’t learn that way. New work, of any kind, needs a gentle reminder that some stuff may be more challenging to understand, it takes time and practice. And some stuff has no right or wrong. And in most stuff there are NO MISTAKE! It’s really about the trying, the joy and effort in discovery. 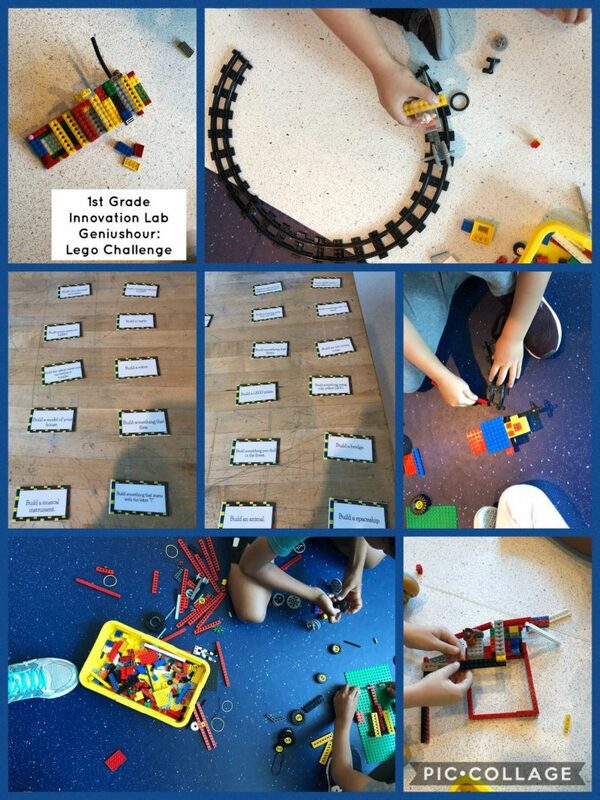 So when we had a delightful Geniushour Lego Challenge and the chorus of ‘I did this wrong’ and ‘I made a mistake’ reminded us to let these adventurous first graders know that working together, problem solving and enjoying the challenge was doing it, just fine! 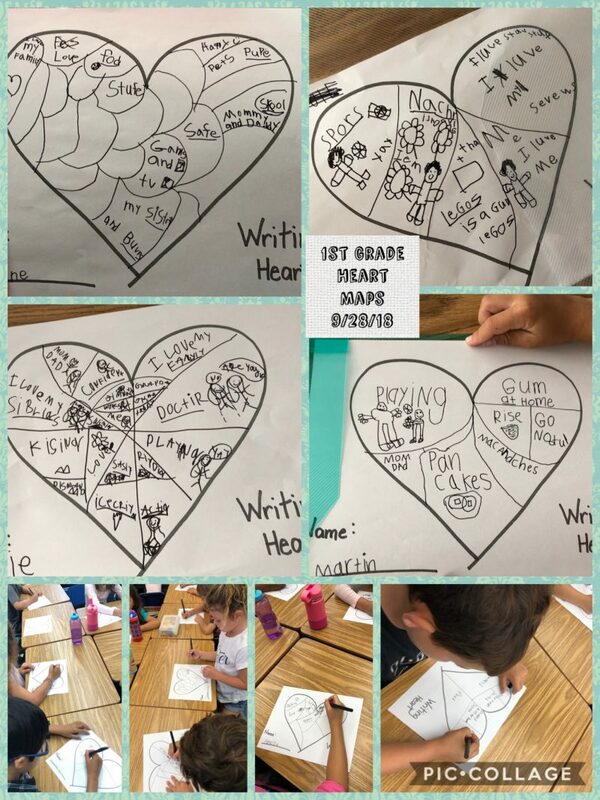 I have found that Heart Maps are a great way to generate writing prompts that are authentic to the individual student. After a mini lesson the kids went back to their seats to work on their ‘maps.’ They were so excited to get going, but a few were uncertain (not an unusual occurrence). Some asked ‘What if I make a mistake?’ ‘What if I do it wrong?’ Here again that gentle reminder about mistakes and this was a chance to sketch out what was important to them. So yes I like that term SKETCH OUT. That’s can be their ‘preventive care.’ Let’s let our students ‘sketch out’ what’s important to them so they can leave those mistake worries behind. We need to remember to listen. So next time I sub, going to share with my students that it’s important to figure out what we want do and then try it, before the “making mistake cacophony.” How about you? Is this something you see? How do you help your students overcome their ‘mistakes’ worry? This entry was posted in Uncategorized and tagged #geniushour, #kindness, #makerspace, Heart map, mindset, writing prompts. Bookmark the permalink.